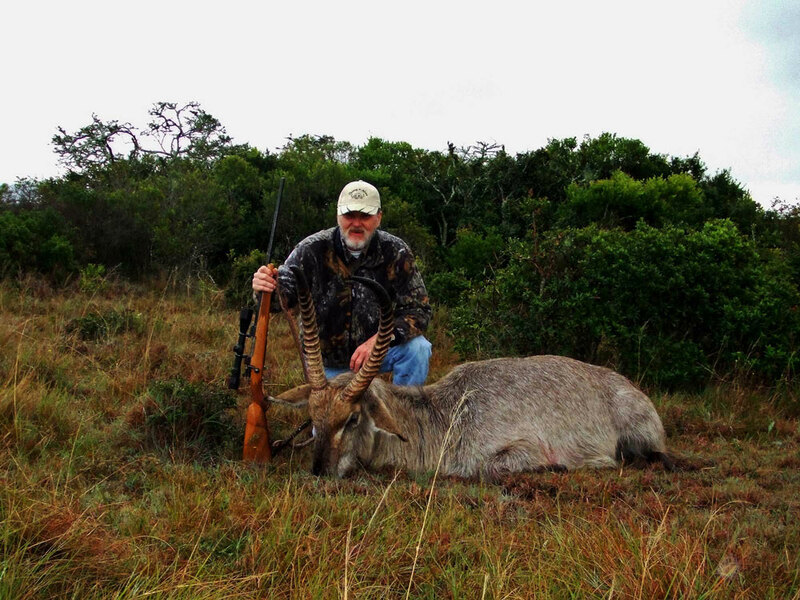 Waterbuck hunting in South Africa with Mkulu African Hunting Safaris. 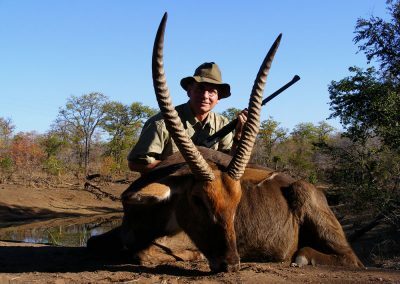 Waterbuck hunting South Africa is hunting for the fourth largest antelope in South Africa. 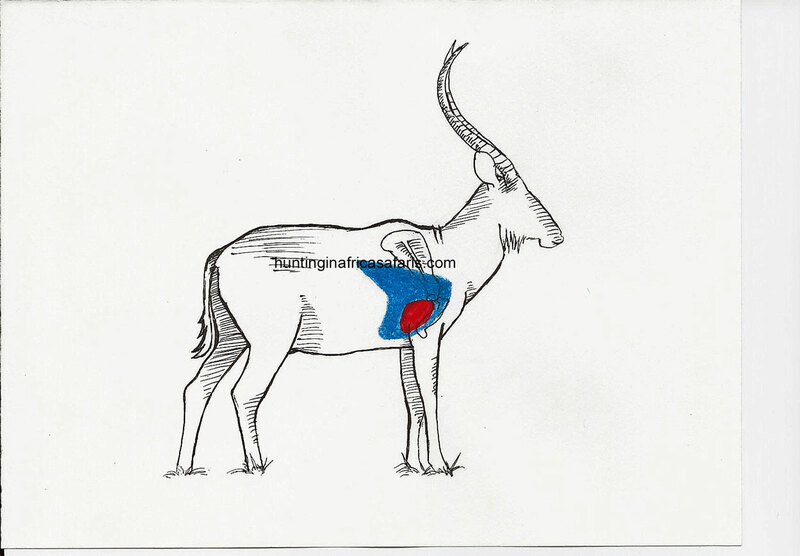 As the name indicates, this rather stocky antelope can be found close to a permanent water source. Waterbuck do not mind stepping into a waterhole to drink from the center, away from the hustle and bustle at the edge of the drinking facility. 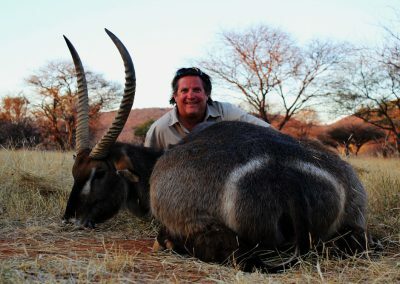 Waterbuck are large, stocky antelope. On approaching a waterhole, the large and older bulls will walk in the back of the herd patiently waiting to see if any form of danger is lurking that will perhaps attack the smaller younger animals eager to have a long drink. 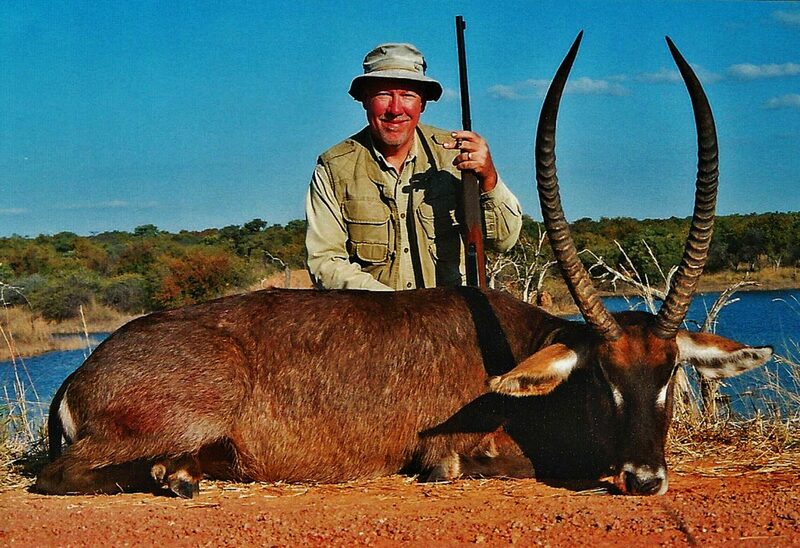 Waterbuck hunting South Africa is hunting for one of the top 10 most wanted antelopes to hunt. 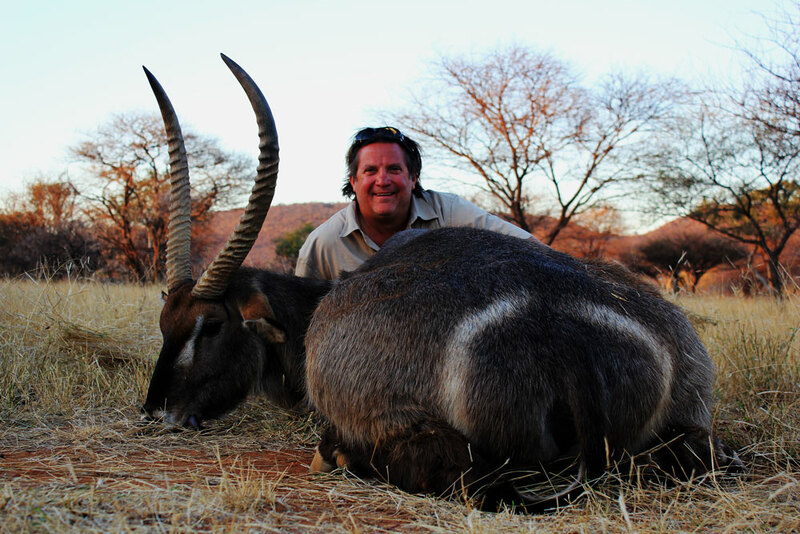 Waterbuck bulls can draw the scale down for an average body weight of 570 lb. (260 kg) and an average shoulder height of 55” (1,4 m). Their large rounded ears are useful in detecting any possible approaching danger. They have a shaggy gray and hairy coat with longer hair down the throat. The most distinguishing factor would be the large white ring round the rear of the animals. Only bulls sport horns. Bulls will actively defend their harems during the rut that will leave many opponents wounded. Waterbuck are known to emit a strong musky odor when bedding down, or passing through shrub in the early mornings and late afternoons. They have a very oily skin that leaves your hands dirty after handling the trophy. Bulls become solitary after the rut, or join bachelor herds with some sub-adult males in the group. 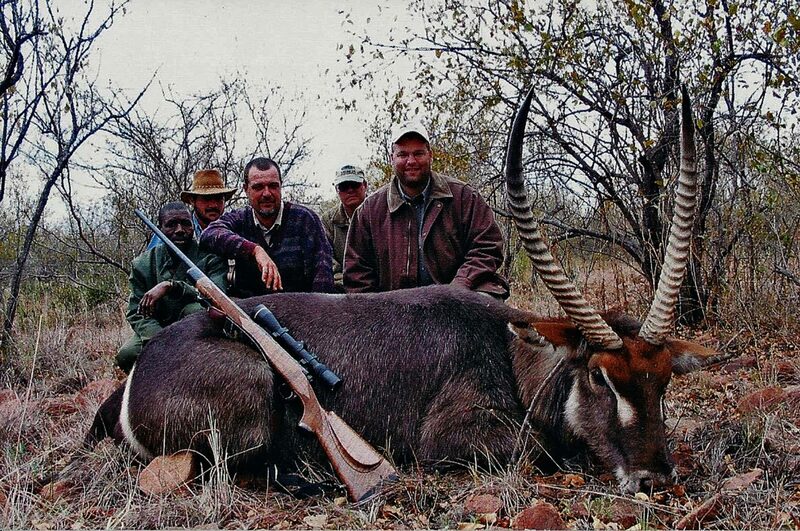 On average, waterbuck herds will comprise of up to 10 cows, their juvenile offspring and the dominant herd bull. Contrary to popular belief, if great care is taken during the skinning process not to allow the musk to come into contact with the meat, the meat is edible and indeed makes tasty meat dishes. Biltong (South African version of jerky, or dried meat) is a popular form of processing waterbuck meat. Mating is during the rut from mid-April to the end of May with a single calf born during summer time from October to end November. Gestation period is nine months after which calves are hidden for the first 4 – 6 weeks before being introduced to the herd. 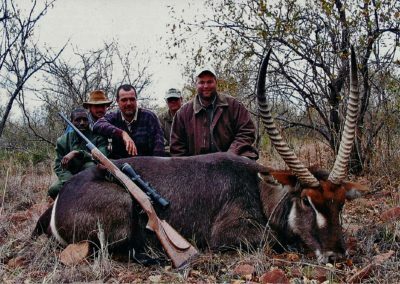 Predators have to be of the larger kind to hunt adult waterbuck. These predators would include spotted hyena and lions. Leopard tend to feed on juvenile waterbuck. 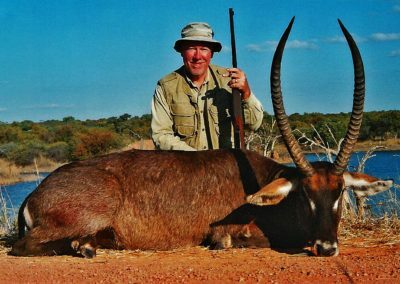 A good 2 – 12 X 50 gun scope should be sufficient for waterbuck hunting in South Africa due to a wide zoom range and a long eye relief which will allow for greater flexibility to view the cross-hairs quicker. 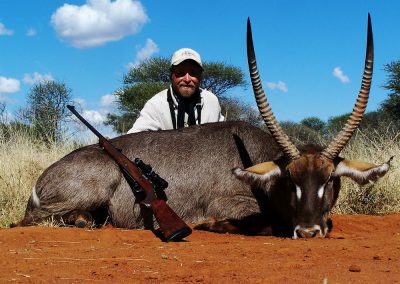 The average expected shooting distance when hunting waterbuck in South Africa is 50 to 150 yards depending on the terrain you are hunting in. The cost to hunt waterbuck in South Africa for the 2018 hunting season is $ 2 200. 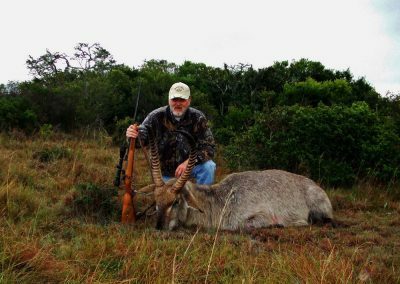 Our waterbuck hunting prices in South Africa 2018 are set for the whole of this hunting season barring any major international crises. 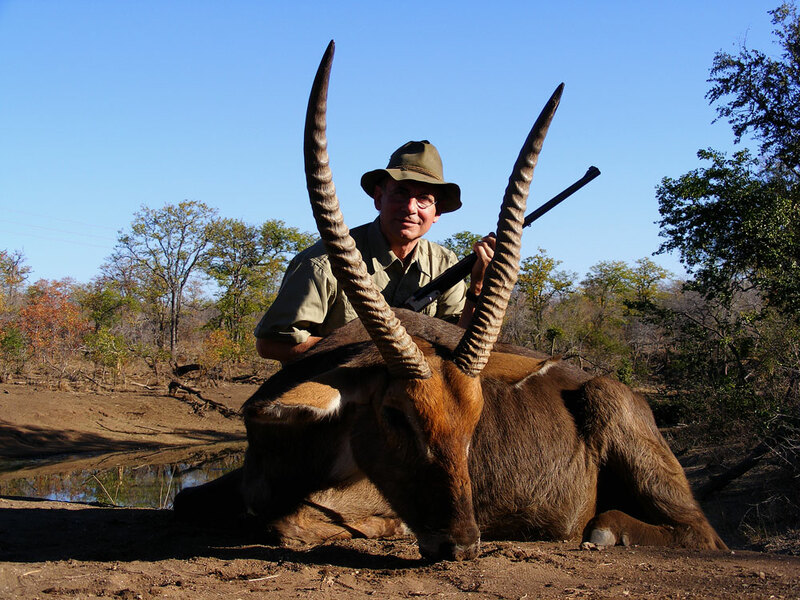 To walk-and-stalk when hunting waterbuck is the traditional way of going about it. Larger waterbuck herds can be more difficult to stalk due to every member of the waterbuck herd being alert most of the time. Solitary males can become extremely wily and are very hard to hunt indeed. 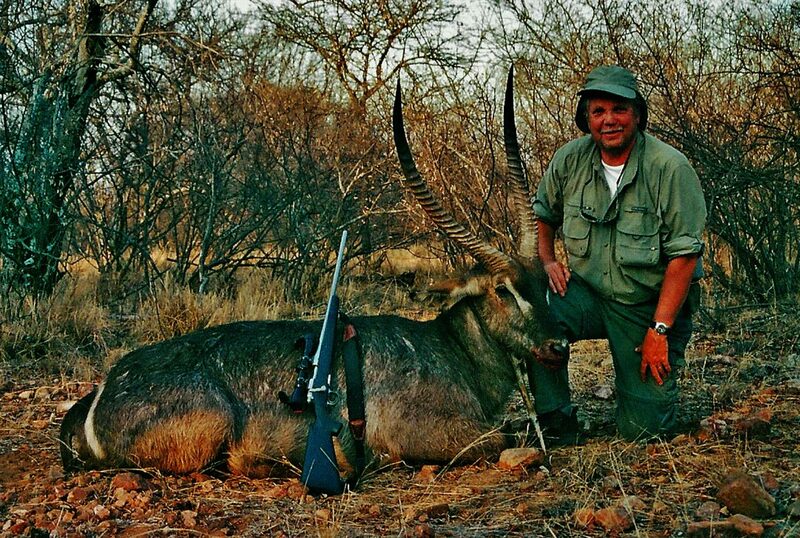 Archery hunting waterbuck is on the increase and in such a case you should hunt waterbuck from a hide or blind. Waterbuck prefer bush and forest areas making it difficult to move silently. Waterbuck have a tendency to congregate along river fronts and can be seen sunning themselves on the banks in the early mornings. 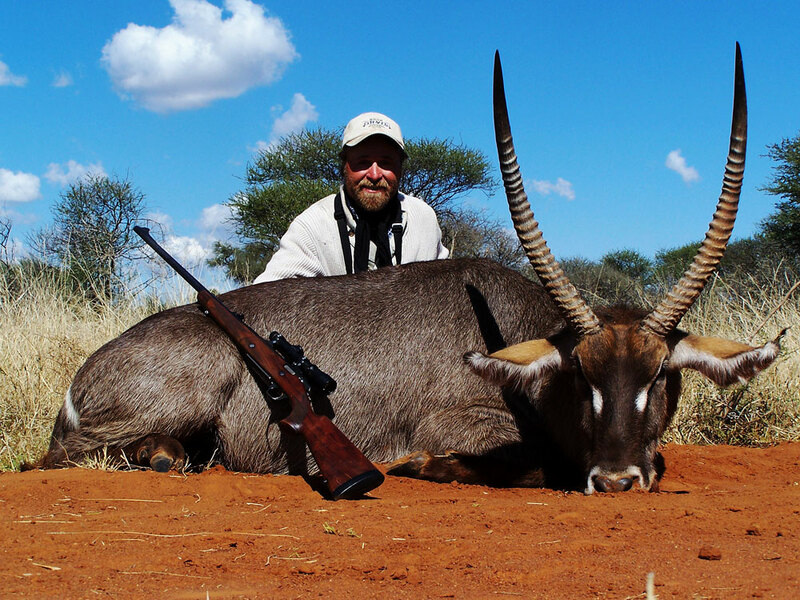 Waterbuck are part of the forward curve family of antelope (Kobus), making it almost as difficult to hunt as its cousin black- and red lechwe. 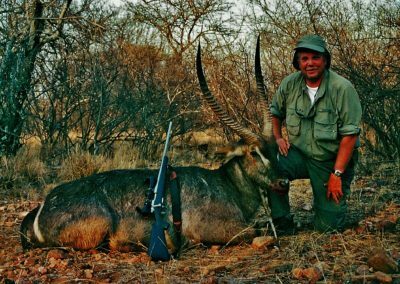 The best time of year to hunt waterbuck in South Africa is the second week of April until the end of October and even to mid-November when the bush has receded most. 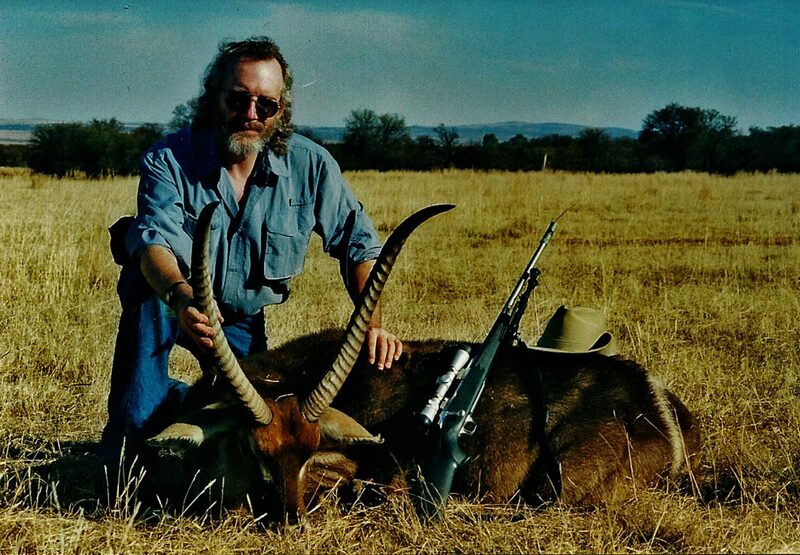 We can and do hunt waterbuck from January to December.